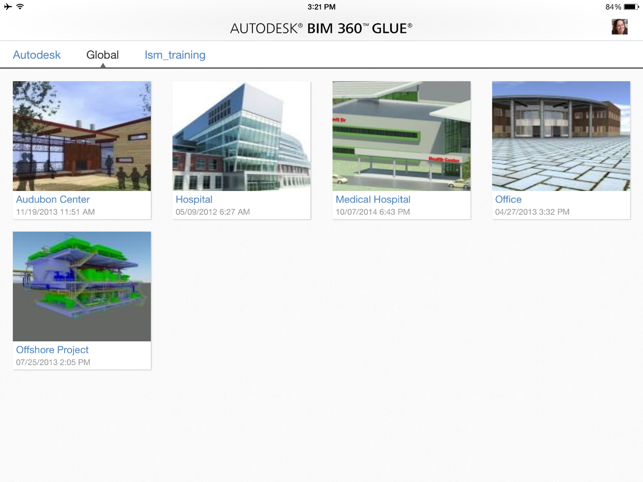 The Autodesk® BIM 360™ Glue® mobile app enables BIM 360 Glue users to more securely access Building Information Modeling (BIM) projects and collaborate with project team members from anywhere, at any time. Building, infrastructure, design, and construction professionals can access and intuitively explore multi-disciplinary models online or offline. 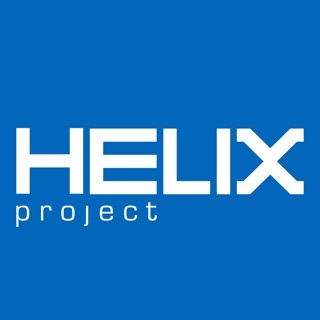 With efficient project synchronization and powerful project review tools including markup and measurement - collaborating with your project team has never been easier. •Measure between model objects with intuitive point-to-point tools, object snapping, and automatic calculation of XYZ differences and shortest distance between objects. 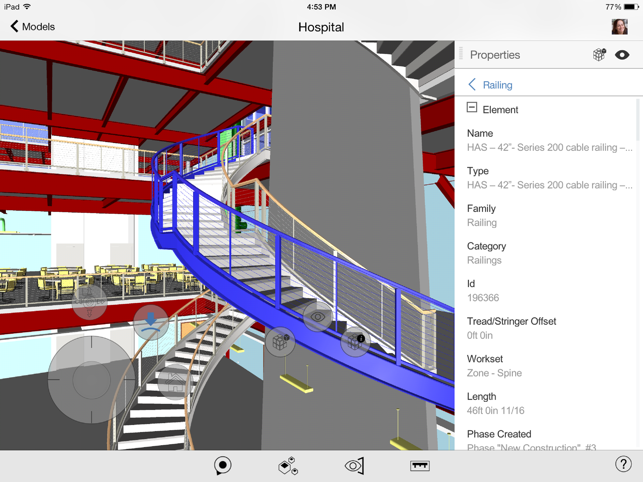 The BIM 360 Glue mobile app, optimized for working with BIM 360 Glue projects, can also be used as a viewer for Autodesk® Navisworks® NWD models. 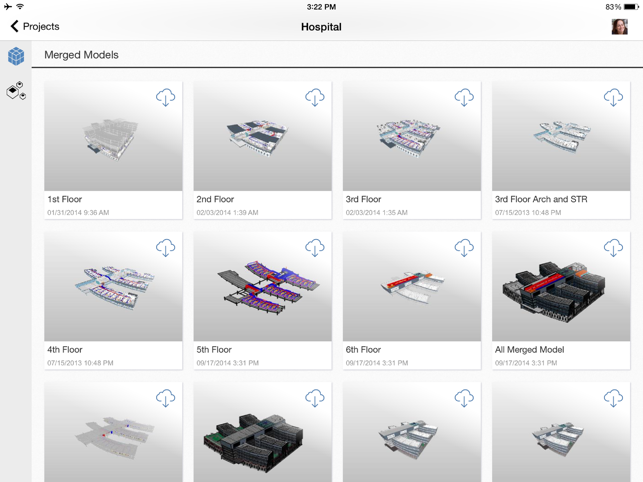 Transfer NWD models directly to the app via iTunes, or use the iOS "Open In" feature to open NWD files directly from Autodesk products, including Buzzsaw and Constructware, or third party document management solutions. 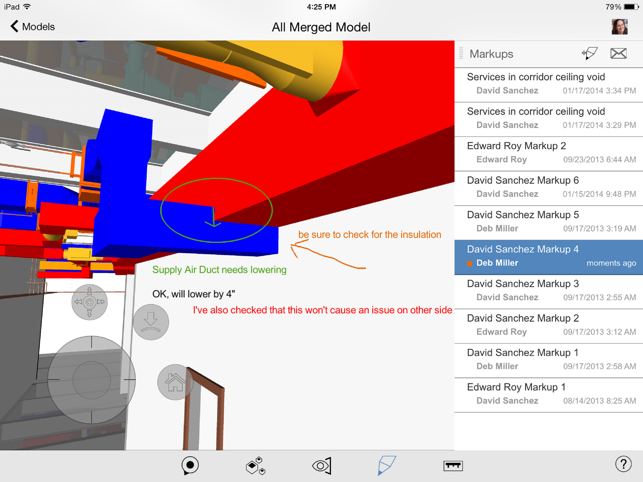 When using the app as an NWD viewer, the app user will not benefit from markup functionality or automatic model updates. 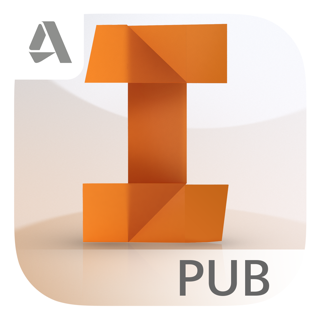 Autodesk BIM 360 Glue mobile app is licensed under the following License and Services Agreement. 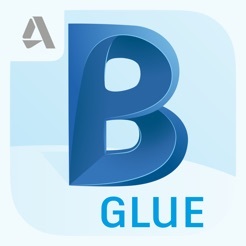 Your download and/or use of the Autodesk BIM 360 Glue mobile app shall serve as your acknowledgement to the terms of this License and Services Agreement with respect to your use of the Autodesk BIM 360 Glue mobile app. Requirements: Compatible with iPad 2 or later. Requires iOS 9 or later. Opens large NWD files with relative ease. 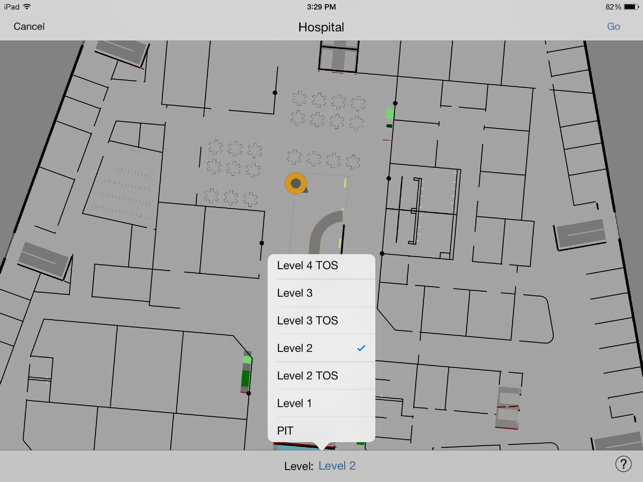 Well thought out navigation tools - very intuitive to use. Only letdown is lack of Datatools properties from Navisworks. Our superintendents would use this app a lot more if they could see the same database information we're already tracking in Manage. Freedom 2013 can see it — why not 360 Glue? The latest update for this app has been nothing short of ground breaking. 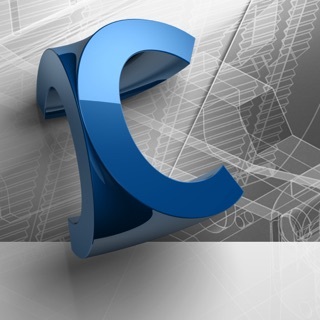 It provides the most useful tool for construction since the invention of paper. 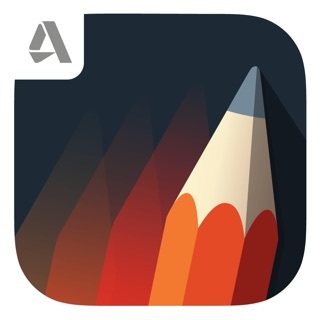 We have cut our labor in half in large part due to the effectiveness of this app. 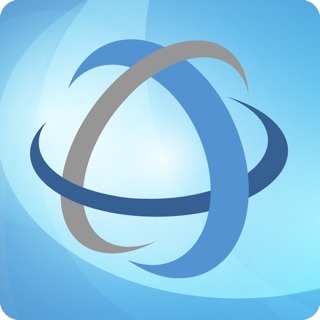 The support for this app is wonderful and their response time is next to instantaneous. Nothing but awesome!